In subscribing to software-as-a-service (SaaS) solutions, customers aren't really buying a product; they're buying a promise. They are not purchasing a finite set of capabilities to be delivered once the contract is signed, as they would with an on-premise license. Instead, the customer is expecting the SaaS vendor to deliver a service over the life of the subscription. This requires trust. 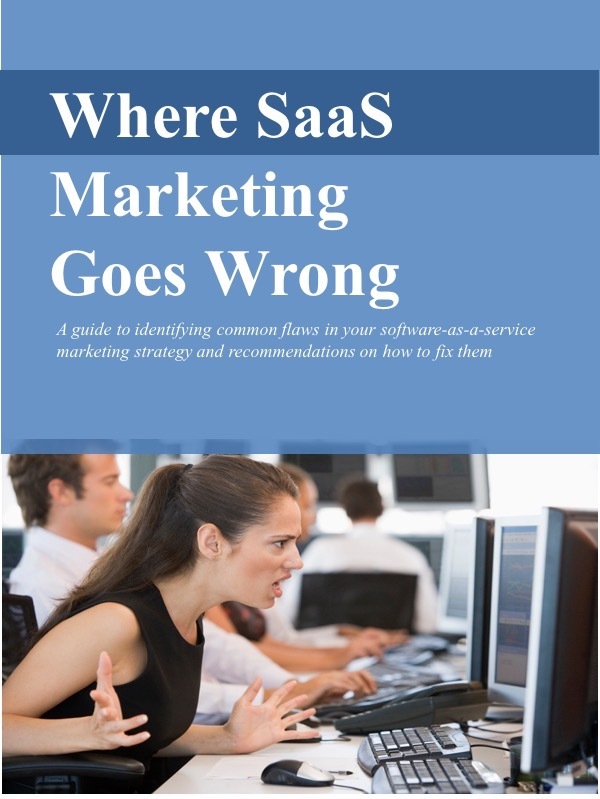 The customer must trust the SaaS vendor. They must trust the vendor to deliver the service reliably, to protect the customer's data, and to provide support. They must trust the vendor to enhance the service regularly. Winning the customer's trust presents a unique SaaS marketing challenge. It means selling more than the feature set. Of course, the service must provide capabilities to solve the customer's problem, but that's just the starting point. The SaaS solution must also demonstrate that it's easy-to-use, easy-to-deploy, easy-to-configure, and easy-to-renew. Along with the product capabilities, marketing should promote all these additional elements as part of the entire customer experience. But to earn a prospective customer's trust requires even more than that. Customers need to have confidence that the SaaS provider will meet their needs over the entire life of the subscription. Customers are making a bet on the future. How do SaaS marketers gain that confidence? How can they help the customer make that bet? Let customers see your track record of meeting past commitments. Show your record on service availability, feature enhancements, and data security. Demonstrate a commitment to communicating with existing customers. Show how you are engaged with them as part of a vital community. Help educate customers on SaaS. To many, it may be a new concept. Help them understand it. I just read an excerpt on trust from Marc Benioff's book, "Behind the Cloud." He tells the story of how salesforce.com dealt with a series of serious service outages in 2005 that was eroding the confidence of customers and prospects. After swallowing hard, the executives decided to openly share the company's previously "internal-only" data on system status. They trusted that customers and prospects would use that information to make more informed decisions. They established a site - appropriately labeled "trust.salesforce.com" - that allows anyone at any time to see the status of all systems and the service performance history. Benioff describes it as "a bold move and a big leap of faith." A good lesson for other SaaS providers here: show trust to earn trust.